The following case shows the typical findings on deformation imaging known with this disorder. 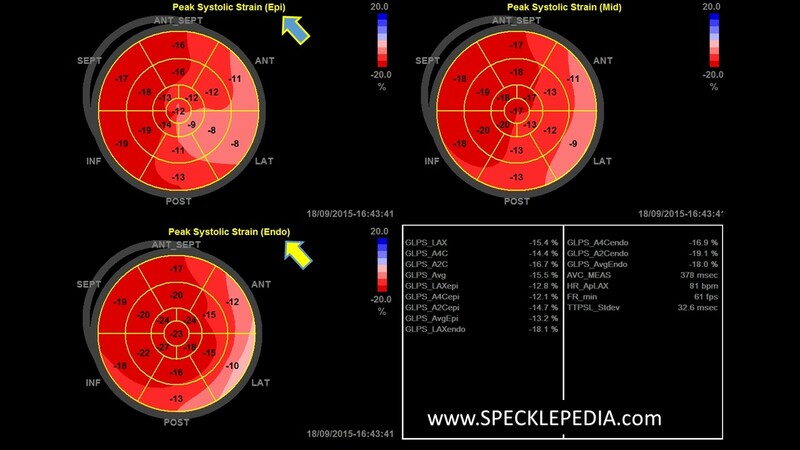 Global LV systolic function is moderately reduced (calculated value: LVEF 45%). 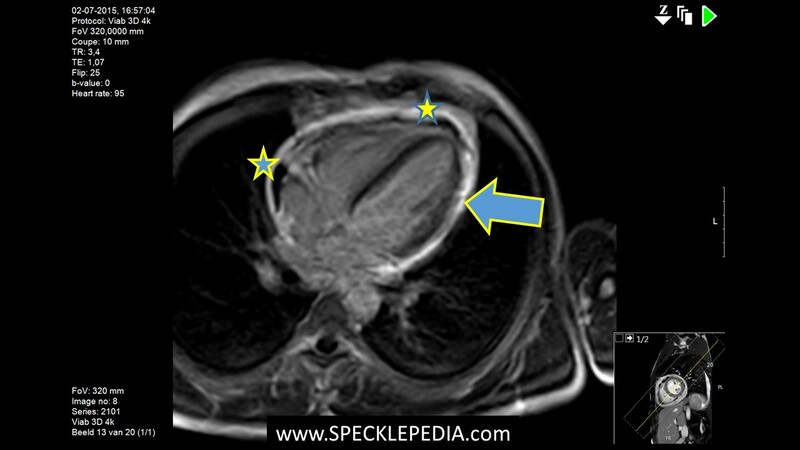 The pericardium is clearly thickened and shows some adhesion to the myocardial wall. No pericardial effusion is seen. 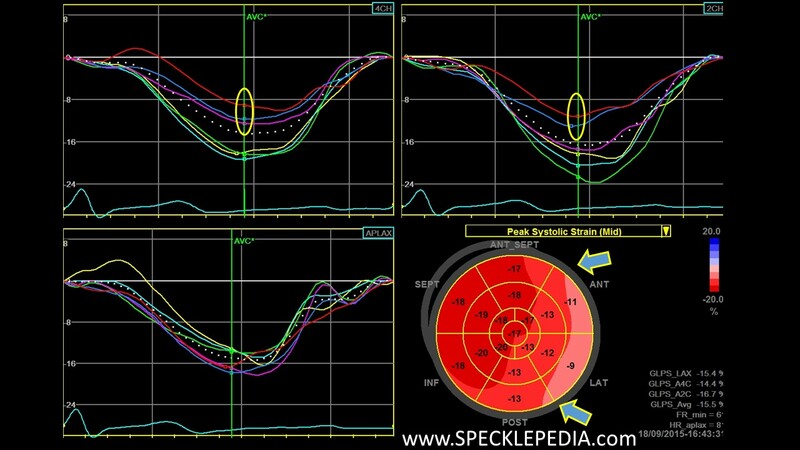 Diastolic function is still normal in this individual. 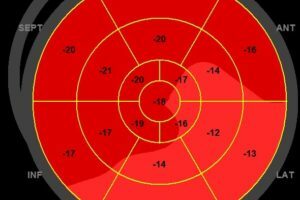 When considering this a “constrictive pericarditis (CP)”, it should be characterized by impaired diastolic filling caused by the external constraints of a fibrotic or inflamed pericardium (tethering). 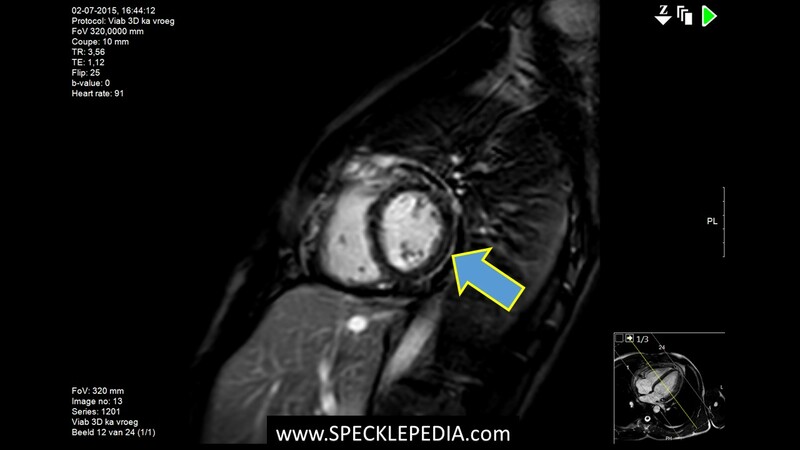 Longitudinal deformation is preserved in the septal walls and is clearly reduced in the posterlateral walls (where also the thickening and tethering of the pericardium was seen), indicated by the yellow circles. Global longitudinal strain is moderately reduced to a value of -15%. 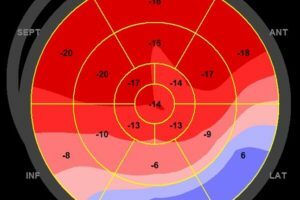 Three layer longitudinal strain also shows the endocardial to epicardial strain gradient, where longitudinal strain in the epicardium is severely affected by the tethering. This is not seen in the septal wall. 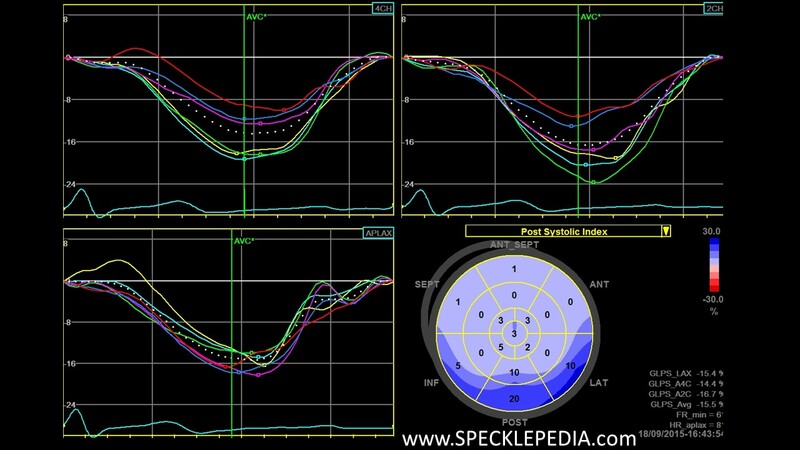 This is demonstrated by the single wall recordings and the bulls-eye plots (see arrow heads). 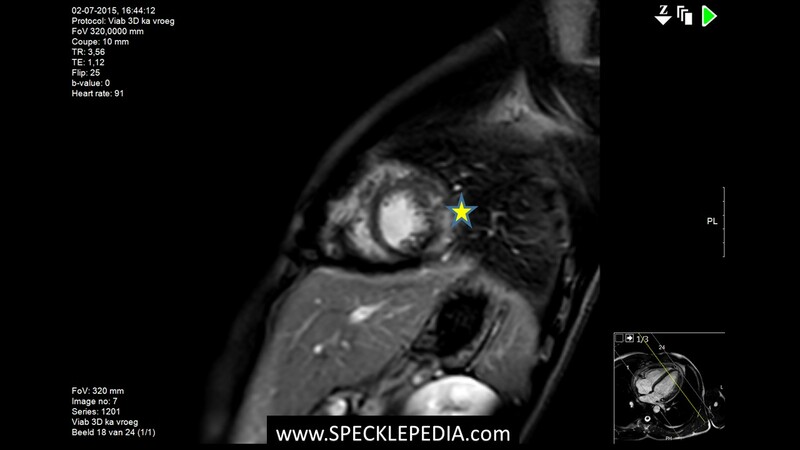 CMR confirmed the thickened pericardium and delayed enhancement was seen not only in the pericardium (see stars in the figures below), but also in the epicardial myocardium in the posterolateral region (see arrowheads), corresponding to the regions with abnormal longitudinal strain.